Should You Eat Before You Exercise for Weight-Loss Success? One of the most commonly questioned practices of those wanting to maximise their weight-loss success is ‘should I eat before I exercise?’ It is logical to assume that not eating (fasted) prior to exercise would yield a fat-burning advantage, but a recent study demonstrated that this may not be the only way to exercise for weight-loss success (1). The researchers took 20 healthy female subjects, instructed them to follow a hypocaloric diet to produce weight-loss results and split them into two groups: a FED group, where they consumed a meal replacement shake (250 calories, 20 g protein) immediately prior to exercise and a FASTED group, consuming a meal replacement shake post-workout. They exercised for an hour of steady-state exercise three times per week. The findings? Both groups lost weight and fat mass but they found no significant difference between the FED versus FASTED subjects. What does this mean for you and me? If you are following an Isagenix 30-Day Weight Loss System and are incorporating exercise into your routine to maximise your success, then whether you choose to your IsaLean™ Shake pre- or post-exercise will have little bearing on your weight loss. If having a shake prior to a workout helps you to feel less hungry and well-fuelled to work out harder, this may be the best option for you, as more effort ‘spent’ in a workout is more calories burned overall! On the flipside, if you train very early in the morning or feel better training on an empty stomach, then your IsaLean shake could be the perfect recovery meal post-exercise – it is entirely at your discretion, whatever works best for you! 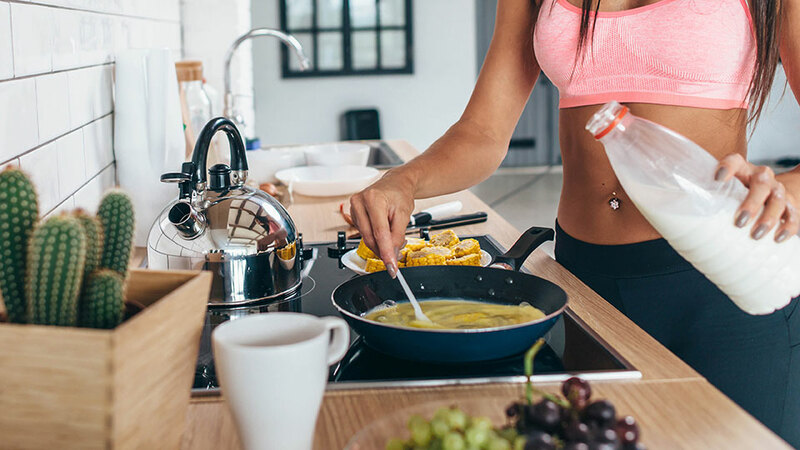 With a weight-loss system that is clinically demonstrated to deliver weight-loss success (2), this science reveals that shake days can be tailored to fit your eating and exercise preferences. Schoenfeld BJ et al. Body composition changes associated with fasted versus non-fasted aerobic exercise. Journal of the International Society of Sports Nutrition 2014, 11:54.